WASHINGTON – Soldiers are being deployed to help fight wildfires in the West for the first time since 2006, the Pentagon announced Thursday. On Sunday, about 200 active-duty soldiers from the 17th Field Artillery Brigade, 7th Infantry Division at Joint Base Lewis-McChord, Washington, will begin fighting the Tower Fire, located north of Spokane. The soldiers will assist the firefighters by taking care of places where the fire has gone out and helping to create firebreaks. The 17th Field Artillery Brigade was identified for this role in April and has spent the summer training to fight wildfires. With approximately 95 large wildfires burning 1.1 million acres across the western United States, 2015 is on course to be one of the worst fire seasons on record. The Tower Fire started on Aug. 11 and has burned more than 8,300 acres. With the hot dry weather, experts expect the fire will spread more in the coming days. Already 250 people are involved in fighting the fire. The last time active-duty soldiers were deployed to fight a wildfire was in 2006 when 550 troops fought the Tripod Fire, also located in Washington. The largest deployment was in 1998 when 4,000 soldiers were sent to fight fires in Yellowstone National Park. 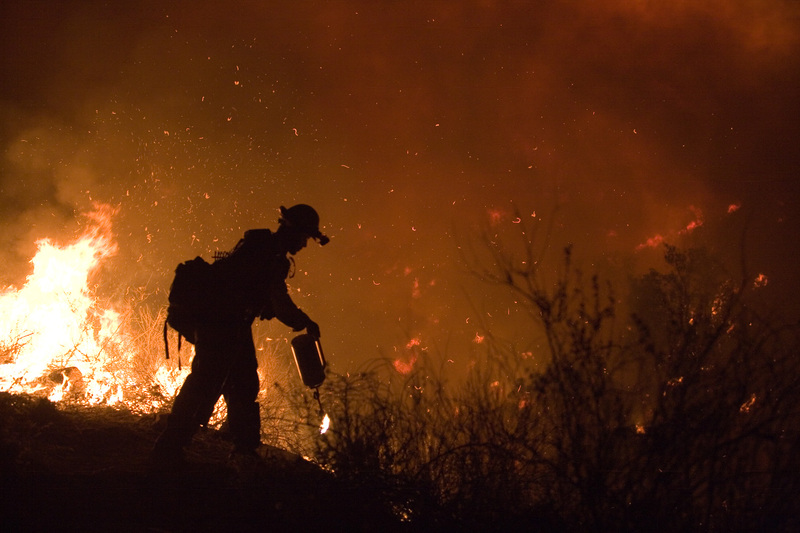 Since 1987, active-duty military personnel have been mobilized 35 times to serve as wild land firefighters. Defense Secretary Ashton Carter approved an Aug. 14 request for 200 soldiers after the National Interagency Fire Center, based in Boise, Idaho, sought the assistance, Buccino said. The brigade began training for this deployment on Aug. 19 with classroom lessons about a variety of topics related to wildfire suppression including fire terminology, fire behavior and fireline safety. Their teachers include the Bureau of Land Management Vegas Valley Crew, which is comprised entirely of military veterans, and Lt. Col. James Dunwoody, commander of 5th Battalion, 3rd Field Artillery, 17th Fires Brigade, says the veterans have been very effective at getting the soldiers up to speed. The soldiers will be organized into 10 crews of 20 personnel each. They will “mop up,” which includes tending to already burned areas to watch for hot spots and prevent flare-ups. This will allow the more technically trained firefighters to more directly fight the fire. The soldiers are equipped for up to 60 days of firefighting and the bill for the entire operation is being paid by the Department of Agriculture.